Have you ever misplaced your scissors right when you needed them the most? If so, then you are just like me and today is your lucky day. I have a simple trick to share that will keep your scissors always within arm’s length. 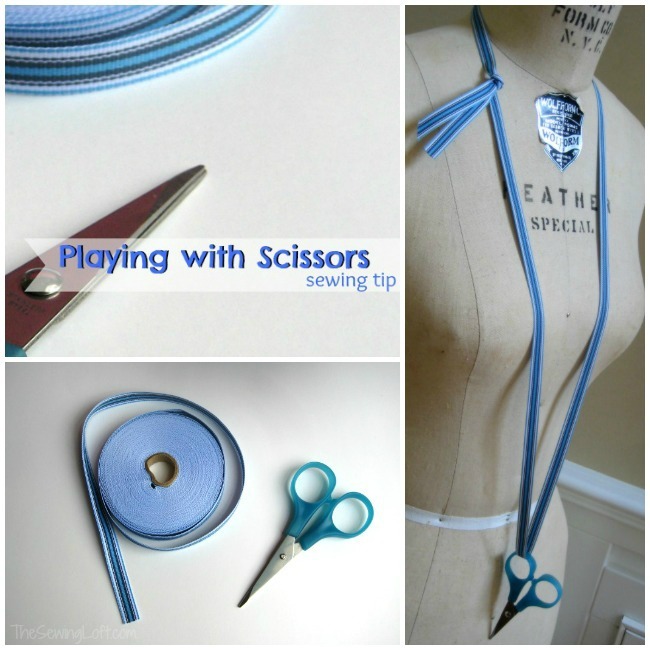 Just add a simple string or ribbon around one of the handles, tie in a knot and wear them as a necklace. Now, just to be clear, I do not recommend this for children. This is something that I do when sitting at my machine for long stretches of stitch time. This way, I am not reaching all over the place when it is time to clip those loose threads. 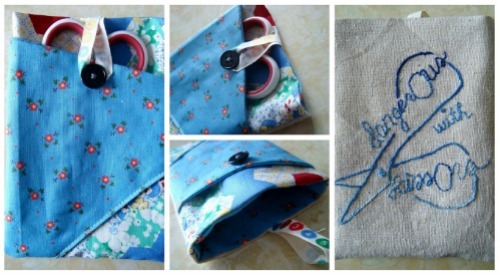 And if you are looking for a fun way to store your scissors when not in use, check out this cute little scissor keeper Becky shared with us in our flickr group. You can find her full tutorial here. Do you have a fun tip to share? If so, be sure to submit it here. You never know, it could be featured here and delivered direct to your in-box. Here’s another tip. I do that and I STILL can’t find them. Sigh. lol, that happens to me all the time with my glasses. I put them on top of my head and feel like I am searching for hours later. Always makes me feel great when my girls tell me I am wearing them! the simplest ideas work so well sometimes, don’t they? Also, for scissors that go missing courtesy your family when you are not looking, I saw some on pinterest with a padlock fastened through the handles. They won’t use and remove them if they can’t open them! I have a bright colored ribbon on all my scissors as sometimes I can not find them .